The search for the best of the best in nursing has begun with the launch of the RCNi Nurse Awards 2019. Nurses, students and healthcare assistants are invited to share their innovations and expertise and celebrate their contribution to making patient care better and improving outcomes. Entries are open to individuals and teams and as well as the Cancer Nursing Award and the Excellence in Cancer Research Award, there are new categories for 2019, including Team of the Year, Continence Promotion, Infection Prevention and Control, Respiratory Nursing, Excellence in Diabetes Care and Skin and Wound Care. Chair of judges, Yvonne Coghill. 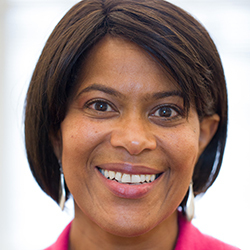 The judging panel will be chaired by Yvonne Coghill, NHS England’s director of The Workforce Race Equality Standard. The RCN fellow was made CBE this year for her services to racial equality in the NHS. 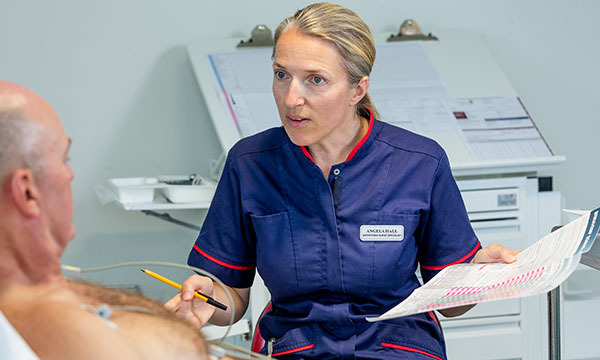 Ms Coghill says: ‘I am delighted to have been invited to be chair of the judging panel for the RCNi Nurse Awards 2019. 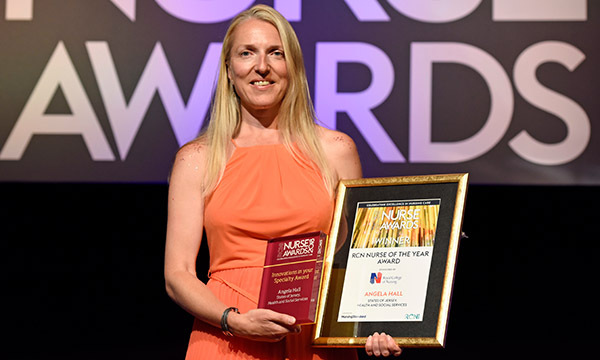 The RCN Nurse of the Year 2019 will be chosen from the category winners and announced at the awards ceremony in London on July 3. Ms Hall was nominated by her colleague Kellyanne Kinsella who hoped ‘it would help her realise how amazing she is’. But for Ms Hall raising the profile of arrhythmia and cardiology nursing is more important. She adds: ‘It has been exciting for Jersey. ‘I have just this week been named States of Jersey employee of the year following on from the publicity and acknowledgement of my work and service developments. I have also won an ‘AF Pioneers’ award for the second time. All our winners and finalists testify to the huge difference the awards have made to them personally and professionally, and their projects. The winner of the Cancer Nursing Award 2018 was Gillian Knowles and the metastatic cancer of unknown origin team from NHS Lothian. 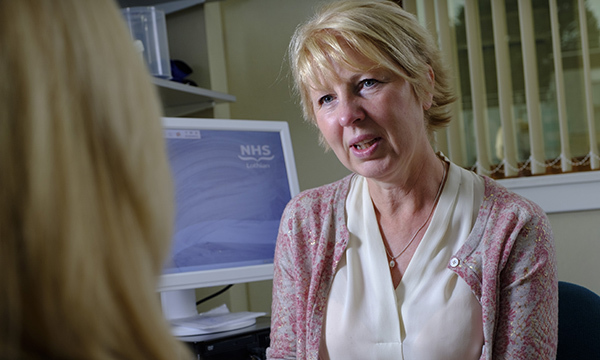 The team is the first in Scotland to develop a service for patients diagnosed with metastatic cancer of unknown primary (mCUP). These patients had been falling outside existing pathways despite their complex care journeys with numerous hospital stays and investigations and poor prognosis. The team was nominated by the executive director of their NHS board and lead nurse for clinical research as an example of service innovation and quality improvement. ‘It was a very good experience for a number of reasons. First, to have our work recognised by our own organisation and through the RCNi judging process for the cancer nursing category was superb. ‘Preparing for the judging process was very helpful as it allowed me to reflect on what the nursing contribution was in developing the service and the importance of the role and advanced skills that cancer nurses have in supporting people with mCUP and the complexities attached. The award has also helped raise the profile of the service. ‘My organisation has been fantastic in celebrating the award and I was overwhelmed by the positive response we received from colleagues,’ adds Ms Knowles. ‘It has also been helpful in raising the profile of the nursing contribution to service innovation and promoting nurses to run with a good idea – they have many. The Excellence in Cancer Research Award 2018 was won by Foteini Rozakeas for her work screening, recruiting, organising consent and registering patients into the PEACE – the Posthumous Evaluation of Advanced Cancer Environment – study. Also in 2018 – and for the first time – the judges announced a Special Recognition award. 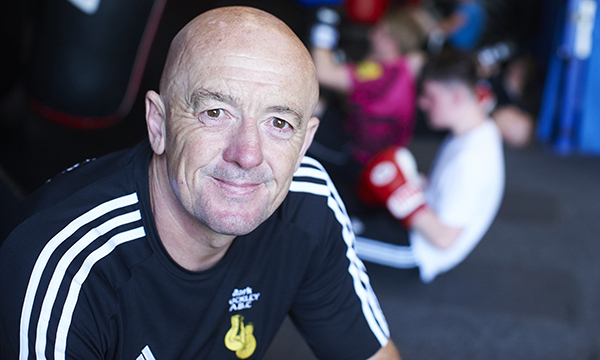 Mental health nurse and former boxer Mark Field impressed the judges with his decades of voluntary work helping thousands of adults and children with mental illness and behaviour problems improve their physical health through his boxing club. Mr Field, who himself has a bipolar diagnosis, says: ‘I entered the awards to shine a light on the importance of helping people with mental illness improve their physical health and giving them a place to go in the community without any stigma. ‘My award has absolutely raised my work’s profile and I have had lots of emails about the work we do here – and an increase in referrals. 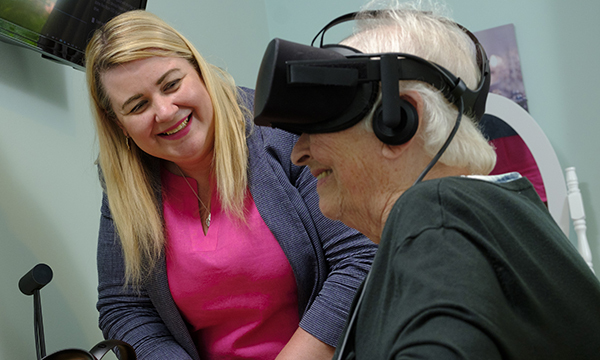 For nurse consultant Yvonne Manson, winning the Leadership Award for her dementia programme was a valuable opportunity to shine a light on the care home sector. ‘I entered the RCNi Nurse Awards to highlight the innovation in the sector and the career you can enjoy from working in care homes. I am incredibly proud of the Balhousie dementia programme I have led in the past two and a half years and the work that has gone into it. I wanted to share that with others. The deadline for entries is 1 February.